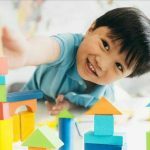 Recognize that children’s abilities vary by domain—math, music, language, social, etc.—and that each child has a unique profile of intelligence. A child who’s highly capable in one area may have learning challenges in another area. Pay attention to your child’s changing abilities, goals, attitudes, and interests. Use different kinds of information sources, including school grades, and your own and others’ observations of your child’s interests, concerns, persistence, and motivation. By appreciating individual developmental differences, you increase your child’s engagement in learning and intrinsic motivation, which leads to better learning outcomes, greater self-efficacy, and a stronger likelihood of happy productivity across her lifespan. Listen carefully to your child. Be alert; respond to his concerns. Encourage your child to follow his interests. Support him with the resources he needs. Model engagement with your own interests and enthusiasms. Consider any special circumstances such as health, finances, and available supports; school and community options; cultural values; and family dynamics. By being attentive and responsive, from infancy to adulthood, you will enhance your child’s curiosity, confidence, exploration, and resilience. Affirm that intelligence and abilities develop (and are not innate). Welcome setbacks as chances to learn what you don’t know yet, or need to improve upon. Teach your child to see problems, mistakes, and weaknesses as useful learning opportunities. Praise what she accomplishes through practice, study, persistence, and good strategies. Show her how working hard is what builds intelligence. Remember that potential can’t be measured. By modeling and supporting a growth mindset, you increase your child’s confidence, risk-taking, goals, resilience, skills, knowledge, and success in every area. In the early years, expose your child to many kinds of opportunities for play and creative exploration, on his own and with others. As he develops competence in one area or another, make sure he gets a greater challenge, higher levels of instruction, continued interaction with others with similar interests, and many more hours of disciplined practice. As he takes a particular strength to a higher level, his psychosocial skills become more important. As he gets older, make sure he learns about sensible risk-taking, metacognition, emotional self-regulation, relationship-building, and resilience. Things go best for kids when their parents are patient, available, and responsive—but not controlling—and also actively engaged in their own intellectual and creative fulfillment. A foundation of love and caring that is coupled with stimulation, support, and nudges in the right directions at the right times, empowers young people, providing the best possible chances for their intellectual, creative, social, and emotional fulfillment.